Nov. 21, 2016 – San Diego, CA — Counsel for plaintiffs in the recently created Roundup MDL won a small victory in court last week when the federal judge overseeing the litigation agreed to appoint them a six-attorney leadership team, reported the California-based publication The Recorder. U.S. District Judge Vince Chhabria was initially skeptical about the six-person team proposed by plaintiffs, which consisted of three co-lead attorneys and an additional three to make up an “executive committee,” according to The Recorder report. “On the face of it, it seems, like, ridiculously bloated,” Judge Chhabria is reported saying at an hour-long hearing held Nov. 16. The judge reportedly questioned plaintiffs’ reasoning for the leadership team, saying it appeared to be motivated by money. Plaintiffs argued the leadership team was a necessary alliance and that denying some lawyers a formal seat at the table would affect their ability to pool funds, The Recorder reported. Defendant Monsanto Corporation reportedly pushed back against that argument, contending such a large leadership team would make the litigation process more cumbersome and expensive. But after a short break, Judge Chhabria announced he had been “operating on less than full information” and had changed his mind about the leadership team, according to The Recorder. The judge would reportedly allow the plaintiffs to determine the structure of their newly granted leadership team. This is Judge Chhabria’s first time presiding over a multidistrict litigation. The Roundup MDL was formed just last month after the Judicial Panel on Multidistrict Litigation heard arguments for and against consolidation of all federally filed lawsuits. There were roughly 21 federal lawsuits filed in 14 districts across the country at the time of consolidation. The Panel chose to consolidate the cases in the U.S. District Court for the Northern District of California, where two of the earliest cases were filed. There are currently 38 lawsuits pending in the MDL as of Nov. 15. The case is In re: Roundup Products Liability Litigation (3:16-md-2741) in the U.S. District Court for the Northern District of California. 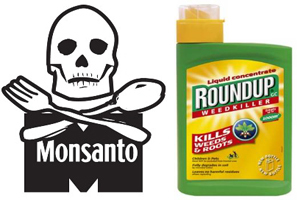 Roundup is a type of herbicide used to kill weeds and grass both at home and in commercial agriculture. The product was first introduced in 1976 by Monsanto Company and has since been used on millions of acres of land and farmland. Roundup Lawsuits allege the popular weed-killer can cause a type of cancer called non-Hodgkin’s lymphoma and that its manufacturer, Monsanto, failed to warn consumers about the potential risk. If you or someone you love was diagnosed with non-Hodgkin’s lymphoma or any of its subtypes after being exposed to Monsanto’s weed-killer, Roundup, you may be entitled to financial compensation. The legal team at Hood National Law Group is ready to answer your questions and help you determine if your case qualifies for a Roundup Cancer Lawsuit. Call the Hood National Law Group today at 1-800-214-1010 for a free case evaluation or use the form on the right-hand side of your screen.